Home - MotorSports Magazine Online! Clubs get the word out! Welcome To Gulf Coast MotorSports, the best site for Car Shows, Motorcycle Shows, Swap Meets, Cars, Trucks & Bikes for Sale, Club Listings, Event Pictures, Cruise-In Listings, on the web. Whatever your interests run, Classic’s, Street Rods, Muscle Cars, Rat Rods, Old School, Custom’s, or Low-rider’s, you’ll find it all here at GulfCoastMotorSports.com. If you’re looking for something entertaining and informative to read, you’ve just found it! Gulf Coast MotorSports is the publication for car and bike enthusiasts. It gives you the “What to do, where to go, and when to do it.” information. You’ll find funny articles and jokes as well as great advertisements and coupons. Looking for that particular car or bike? Check out our classifieds section, you’ll probably find it there. 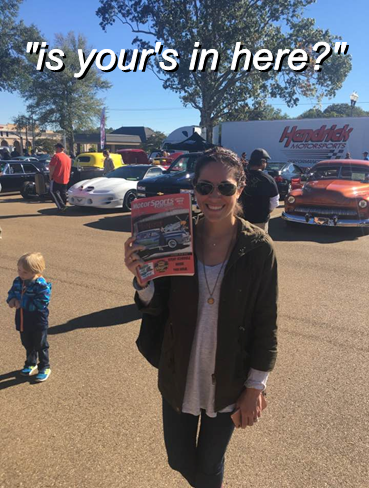 With all that Gulf Coast MotorSports has to offer, you can’t afford to miss one publication.